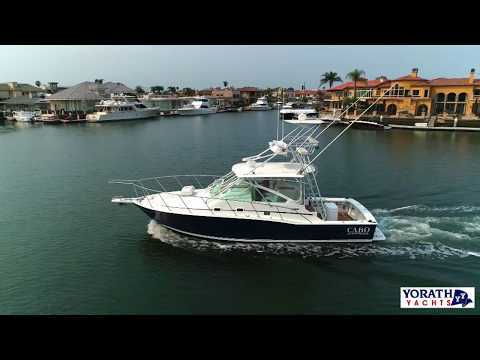 This is a must see 35 West Coast Style Cabo Express – Loaded with All the Best and Ready to Fish SoCal Offshore ! Chase the Blue Fin Tuna Now ! The hull color is "Aristo Blue".